At Rewire 2018 Antenes debuted a new RE:VIVE commission, Telegraph Music. A project that finds and celebrates the intersections of modular electronic music and its forefather; telecommunications. Known for her inventive soundscapes and eclectic DJ sets, New York-based DJ, producer and electronic artist Antenes also operates a studio-turned-laboratory of self-made sequencers and modular synthesizers built from vintage telephone equipment. She presented the world premiere of Telegraph Music, a Rewire and RE:VIVE commission (in co-production with COMM Museum) that explores the intertwined histories of electronic music and telecommunications by performing with a one-of-a-kind repurposed switchboard modular setup. Antenes was joined by Arad, 1/2 of Lakker and the visual mastermind behind the Irish techno duo’s acclaimed Struggle & Emerge and Tundra live a/v shows. 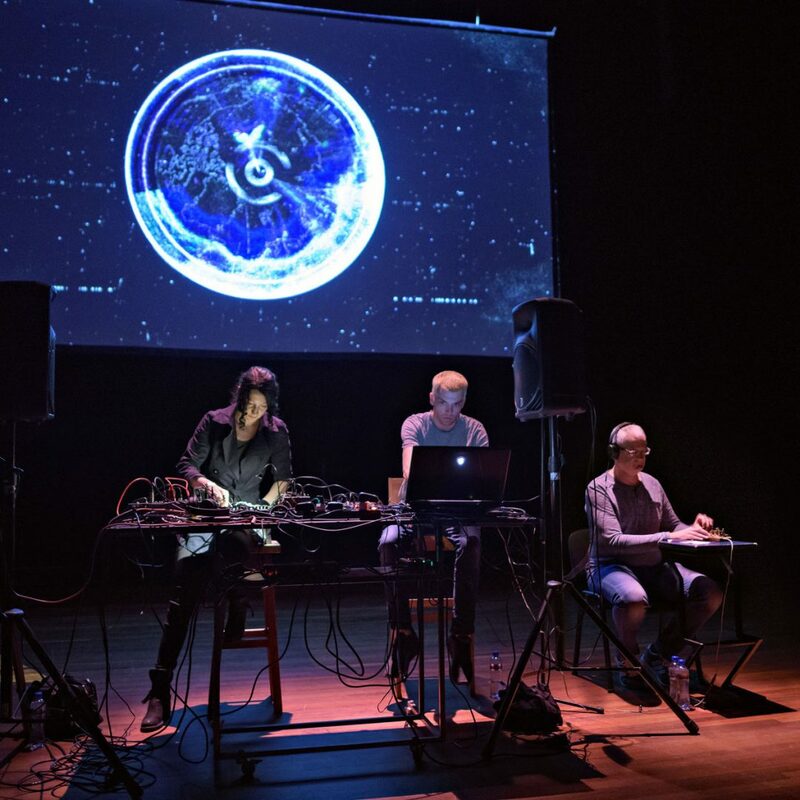 Arad will provide visuals for Telegraph Music further exploring how telegraphic messages can be transformed into new forms of artistic expression. Operating the modified telegraph key and delivering messages to Antenes and Arad was experienced radio operator and technical engineer Bernard Grijpstra, a graduate of the Hogere Zeeveart School Amsterdam and served several years as a radio operator in the Merchant Marines. Leading up to the performance Antenes met with a collective of former radio operators from Radio Holland, one of The Netherlands oldest radio communication organizations. Through conferring with these life-long telegraphers who lived life on the airwaves around the world, Antenes was able to place telegraphy in the context of the world at large, current society and electronic music. Future plans for releasing different iterations of Telegraph Music and all new material are in the works. Keep your dials dialed in!